To compare the Spanish version of the modified Telephone Interview of Cognitive Status (STICS-m) with the Mini-Mental State Examination (MMSE) and predict its ability to detect the development of dementia. 106 participants in a dietary intervention trial underwent face-to-face evaluation with the MMSE, and phone interview with the STICS-m. The correlation between STICS-m and MMSE was assessed with the intraclass correlation coefficient (ICC) of consistency. Secondly, 932 participants over 55 years old from the “Seguimiento Universidad de Navarra” cohort were evaluated with the STICS-m and data on dementia diagnosis were gathered (median follow-up time of 6.5 years). A logistic regression model evaluated the association between STICS-m score or 2-year changes in STICS-m score and risk of developing dementia, adjusting for ApoE, age and years of university education. The ICC between the MMSE and the STICS-m was 0.31 (95% confidence interval [95%CI]: 0.13-0.48). The adjusted odds ratio (OR) for the development of dementia for each additional point in the baseline STICS-m score was 0.85 (95%CI: 0.72-1.02; p=0.084). When considering the 2-year change in the STICS-m score as exposure, the OR for the development of dementia was 0.79 (95%CI: 0.67-0.93; p=0.006). The weak correlation between the STICS-m and the MMSE reflects moderate-low concurrent validity. Even so, the STICS-m can be regarded as an useful tool in the epidemiological setting since increasing scores appear to be able to predict a lower risk of developing dementia. Estudiar la correlación de la Telephone Interview for Cognitive Status modificada en español (STICS-m) con el Mini-Mental State Examination (MMSE) y predecir la capacidad de la primera para detectar el desarrollo de demencia. 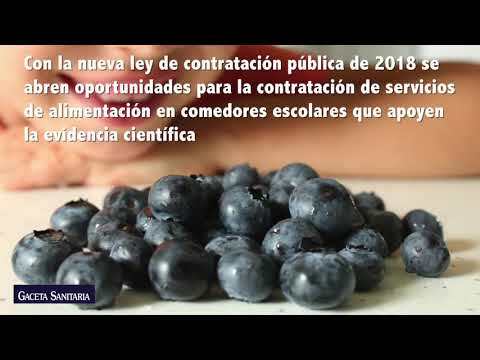 Ciento seis sujetos de un estudio de intervención dietética fueron evaluados personalmente con el MMSE y por teléfono con la STICS-m. La correlación entre ambos se midió con el coeficiente de correlación intraclase (CCI) de consistencia. Además, 932 participantes mayores de 55 años de la cohorte “Seguimiento Universidad de Navarra” fueron evaluados con la STICS-m. Durante una mediana de seguimiento de 6,5 años, se recogió información sobre el desarrollo de demencia. Mediante regresión logística se estudió la asociación entre la puntuación de la STICS-m o el cambio a 2 años en la puntuación y el riesgo de desarrollar demencia, ajustando por apolipoproteína E, edad y años de educación universitaria. El CCI entre el MMSE y la STICS-m fue de 0,31 (intervalo de confianza del 95% [IC95%]: 0,13-0,48). La odds ratio (OR) ajustada para el desarrollo de demencia para cada punto adicional en la puntuación basal de la STICS-m fue de 0,85 (IC95%: 0,72-1,02; p=0,084). Al considerar el cambio en la puntuación a los 2 años como variable independiente, la OR fue de 0,79 (IC95%: 0,67-0,93; p=0,006). La correlación débil entre la STICS-m y el MMSE refleja solo una moderada-baja validez concurrente. Aun así, la STICS-m puede considerarse útil en el contexto epidemiológico, ya que aumentos en la puntuación parecen predecir un menor riesgo de desarrollar demencia. The worldwide prevalence of dementia in 2015 was 46.8 million, with the expectancy of this number to reach 131.5 million by 2050.1 In 2011, for Spain, the lifetime risk of dementia in people aged over 65 was 14.1% for men and 19.7% for women.2 Alzheimer's disease is the leading cause of dementia, followed by vascular dementia. The incidence of Alzheimer's disease in the South of Europe (Greece, Italy and Spain) in 2015 was estimated at 8.97 per 1,000 person-years, with an increase with age: from 3.43 in people aged 65-74 years old to 35.74 per 1,000 person-years in people aged over 85.3 At the same time, there is an important expected rise in the population over 65 years old in Spain, from 18.7% in 2016, to 34.6% in 2066.4 Nonetheless, effective treatments for any type of cognitive impairment still seem illusive.5 A strategy that could delay by one year the start and progression of dementia would reduce the global incidence by 9.2 million in 2050.6 Therefore, there is a solid interest in preventive measures that will slow down the progress of decreasing cognitive function. Epidemiological studies seeking to determine the impact of risk factors in the development of dementia need a reliable, valid, and efficient method of evaluating cognitive function. While it is important to certify that the TICS-m correctly evaluates cognitive function compared to already used and validated cognitive function tests, such as the MMSE, its most interesting feature would be the applicable prediction of decline in cognitive function over the years. The TICS-m has been validated in other studies that confirm its usefulness in the setting of large epidemiological studies, and it has also been translated into several other languages.11–15 There is no other previous validation study for the Spanish version (STICS-m), although a previous study reported on the usefulness of the STICS-m.16 This study aims to validate the Spanish translation of the questionnaire (STICS-m), using the MMSE as a standard criterion of normal cognitive function. Additionally, it tries to assess the STICS-m's ability to predict dementia cases, evaluating its utility for epidemiological studies. We approached volunteers recruited at primary care centers in Navarre, Spain, with no relevant hearing impairment, able to understand and speak Spanish, as part of the PREDIMED Plus study. The PREDIMED Plus study is an intervention trial that evaluates the effect of an intensive lifestyle program with caloric restriction on obesity, weight loss and related conditions such as neurodegenerative diseases. The sample consisted of men between 55-75 years old and women between 60-75 years old, overweight or obese. They underwent an in-person neurocognitive assessment battery by a trained nurse, including the MMSE. Normal cognitive function, as assessed by the complete neuropsychological evaluation, was a criterion for inclusion. The STICS-m was performed by a neurologist and completed on a subgroup of these subjects within a 2-month period since the baseline MMSE. Additionally, participants from the “Seguimiento Universidad de Navarra” (SUN) study were recruited through detailed questionnaires, which included general information about health, food habits and educational level. The SUN study is an ongoing dynamic prospective cohort of Spain university graduates focused on lifestyle issues and their relationship to disease.17 For the SUN study, 22,564 participants were recruited up to March 2017. Out of these, 1,921 participants over the age of 55 years were invited to be evaluated with the STICS-m. A subsample of 1,063 subjects accepted, out of which 933 participants completed the baseline questionnaire and 892 after two years of follow up. The diagnosis of dementia was gathered through questionnaires and medical reports, when needed, during a median follow-up time of 6.5 years. ApoE status was determined through genotyping of DNA extracted from saliva samples previously collected with the Oragene-DNA (OG-500) kit from DNA Genotek. The MMSE is the most widely used tool for initial evaluation of cognitive function in the clinical setting. The test includes five domains: orientation; language and comprehension; registration and recall (memory); attention/calculation and praxis. The maximum score is 30, with a score above 24 considered normal and below 21 practically always denoting cognitive deficiency.8 Each domain contributes almost equally to the total score14. The STICS-m contains the following items, in parentheses we state the amount of points given for correctly answering all parts of each item: 1) full name (2 points); 2) date (5 points); 3) address (5 points); 4) counting backward (2 points); 5) 10-word list learning exercise (10 points); 6) serial sevens backward (5 points); 7) responsive naming (4 points); 8) repetition (2 points); 9) semantic memory (current Spanish President and King, 2 points); 10) finger tapping (2 points); 11) word opposites (2 points) and 12) delayed recall of the 10-word list in task 5 (10 points). Baseline characteristics are reported as mean±standard deviation for quantitative traits and as percentage for qualitative characteristics. From the data gathered from the PREDIMED Plus study, the distribution of both cognitive screening test scores was plotted with histograms. The consistency between the MMSE (by personal interview) and the STICS-m (by telephone) was evaluated with an intraclass correlation coefficient (ICC) of consistency, without item number 12 of the STICS-m. The correlation between cognitive tests was evaluated with a Spearman correlation coefficient (ρ, rho). As sensitivity analysis, an ICC was calculated using the STICS-m including item number 12. Furthermore, since the memory component is more prominent in the STICS-m than in the MMSE, we also calculated an ICC using the total scores of MMSE and STICS-m without the memory items (divided into recent and delayed recall). A comparison of each domain for the MMSE and the STICS-m was also performed, not including the praxis domain of the MMSE. From the data of the SUN cohort, we described with boxplots baseline and 2-year changes in STICS-m scores separately among participants who remained free of dementia during follow-up and among participants who developed dementia during follow-up. Changes between scores at baseline and at the 2-year follow-up were compared between patients who did and who did not develop dementia with a Student's t-test. In addition, we calculated baseline and 2-year changes in the STICS-m score among participants who developed and did not develop subsequent dementia during follow-up adjusted for ApoE (dominant model), age at baseline STICS-m ascertainment and years of university education. We also used multivariate logistic regression models to assess the association between baseline STICS-m score or 2-year changes in STICS-m score and the subsequent risk of incident dementia, adjusting for ApoE (dominant model), age at baseline STICS-m ascertainment and years of university education. All analyses were performed using STATA SE 13.0 software. To obtain informed consent of potential participants, we duly informed these potential candidates of their right to refuse to participate in the SUN study or to withdraw their consent to participate at any time without reprisal, according to the principles of the Declaration of Helsinki. Special attention was given to the specific information needs of individual potential candidates as well as to the methods used to deliver their information and the feedback that they may receive from the research team. After ensuring that the candidate had understood the information, we sought their potential freely-given informed consent, and their voluntary completion of the baseline questionnaire. Participants in the cognitive function subproject of the SUN cohort provided a specific written informed consent. Participants in the PREDIMED-Plus trial provide written informed consent before entering the trial. These methods were accepted by the Institutional Review Board of the University of Navarra (Comité de Ética de la Investigación, Universidad de Navarra) as to imply an appropriately-obtained informed consent. A total of 106 participants (56% men) were included in the analysis of consistency between MMSE and STICS-m from the PREDIMED Plus study. The age of the participants at recruitment was 65±5 years. The histograms with the distribution of scores for both the MMSE and STICS-m are shown in Figure 1. The mean MMSE score was 28.4±1.6 and the mean STICS-m score was 32.4±3.8. The ICC of consistency between the MMSE and the STICS-m was 0.31 (95% confidence interval [95%CI]: 0.13-0.48) without item 12 of the STICS-m and 0.24 (95%CI: 0.05-0.41) with this item. The Spearman correlation coefficient was 0.27 (p=0.0087), after eliminating nine participants with an improbable TICS score, when compared with the MMSE score. When eliminating all memory items from both cognitive tests (recent memory and delayed recall), the ICC of consistency between the MMSE and STICS-m increased slightly to ICC=0.33 (95%CI: 0.15-0.49). The ICC of consistency between the cognitive tests for each domain was: 0.15 (95%CI:−0.04-0.33) for orientation, 0.00 (95%CI:−0.19-0.19) for recent memory, 0.36 (95%CI: 0.18-0.52) for attention/calculation, 0.14 (95%CI:−0.05-0.32) for delayed recall, and 0.21 (95%CI: 0.02-0.39) for language. Distribution of scores of Mini Mental State Examination and modified Spanish Telephone Interview for Cognitive Status among PREDIMED Plus participants. In order to assess the association between STICS-m and incident dementia, 933 participants (71% men) from the SUN project were evaluated with the STICS-m questionnaire at recruitment. One participant was excluded because of an implausible STICS-m score. Nineteen patients reported a diagnosis of dementia during a median follow-up time of 6.5 years. At the time of the first cognitive evaluation mean age was 67±6 years and the mean years of university education 5.3±1.8 years. The mean STICS-m scores at baseline in patients without dementia was 34.0±2.4 and 32.7±3.6 for patients with dementia. For participants with STICS-m evaluation after 2-years of follow-up (n=892), mean baseline age was 67±6 years. The mean STICS-m scores in patients without dementia was 34.3±2.4 and 31.5±4.6 for patients with dementia. The mean change for subjects without dementia was 0.30±2.6 and−1.8±3.5 for subjects with dementia. Figure 2 shows the distribution of the baseline and 2-year change in the STICS-m score separately for participants who developed and did not develop dementia. The unadjusted change in the STICS-m score between those who did and who did not develop dementia was statistically significant (p=0.001). Mean changes in the STICS-m score adjusted for age, year of university education and ApoE genotype (dominant model) were 0.30 (95%CI: 0.11-0.46) for participants who did not develop dementia and−1.66 (95%CI:−2.94 to−0.38) for participants who did develop dementia (p=0.011). Baseline and 2-year changes in the modified Spanish Telephone Interview for Cognitive Status (STICS-m) SUN Project. Distributions are shown separately for participants who developed and did not develop dementia during a median follow-up of 6.5 years. In the logistic regression model, the adjusted odds ratio (OR) for the development of dementia for each additional point in the baseline STICS-m score was 0.85 (95%CI: 0.72-1.02; p=0.084), adjusted for age at baseline STICS-m ascertainment, years of university education and ApoE genotype (dominant model). The OR for the development of dementia for each additional point in the 2-year STICS-m score was 0.74 (95%CI: 0.63-0.89; p=0.001). When we considered the 2-year change in the STICS-m score as exposure, the OR for the development of dementia was 0.79 (95%CI: 0.67-0.93; p=0.006). In the present study, we observed a weak consistency between the MMSE and the STICS-m score among participants who underwent both tests. Using data from the SUN project, adjusted mean 2-year changes in score demonstrated a maintenance of scores in patients without dementia and a decrease of almost 2 points in patients who subsequently developed dementia. The logistic regression model showed that for each additional point in the STICS-m score at year 2 of follow-up and in the 2-year change in score, the risk of developing dementia decreased by 26% and 21%, respectively. Therefore, despite the low ICC with the MMSE, the STICS-m appears to correctly differentiate people with a higher probability of developing dementia in longitudinal studies. The low correlation between the MMSE and the STICS-m is probably due to the population of our study, combined with the characteristics of the cognitive tests. The PREDIMED Plus sample, in which the both MMSE and STICS-m were performed, consisted of cognitively normal adults, which is confirmed by the high mean scores in both the MMSE and the STICS-m. The MMSE can be less sensitive to cognitive changes in high functioning individuals, a phenomenon known as the ceiling effect.21 This, combined with the sparser distribution of the STICS-m scores in comparison to the MMSE, as represented by the histograms and standard deviations, might have accounted for the low ICC. Furthermore, the memory and registration component of the TICS-m accounted for 20 out of the 51 points (vs. 6 out of 28 on the MMSE), which may enhance the sensitivity of this test to detect early cognitive dysfunction,22 but increase the differences between cognitive tests.14 Therefore, the low correlation can be partly justified by the fact that the MMSE does not identify well early memory deficits while the TICS-m has a more thorough memory evaluation. For this reason, we eliminated item 12 for our analysis, which allows for a better comparison between memory domains (10 out of 41 points in the STICS-m vs. 6 out of 28 in the MMSE). Some strengths and limitations in our study deserve to be mentioned. A potential limitation in this work is the lack of comparison of the STICS-m to a neuropsychological or clinical evaluation of the participants in the two samples. In the PREDIMED Plus sample, this would have allowed to compare the STICS-m to a more suitable gold standard of dementia diagnosis, rather than the MMSE, and calculate measures of sensitivity and specificity. Another possibility could have been correlating the memory component of the neuropsychological tests to the STICS-m. Furthermore, the first sample (undergoing both MMSE and STICS-m) was only evaluated with STICS-m at one point in time and no data on ApoE status were available. In the SUN project, no MMSE was performed, although a similar correlation as seen in this study would have probably been found since this population of university graduates can be described as high-functioning. Another limitation is that the number of patients that developed dementia in this cohort was low. However, despite the low number of dementia cases, the change in STICS-m over 2-year follow-up when comparing patients with and without dementia was statistically significant. Since the high-functioning and high-level of education profiles of both samples might explain the low correlation between cognitive tests, further investigations with the STICS-m in samples with different characteristics are warranted. In summary, the STICS-m can be regarded as a useful tool in the epidemiological setting. Previous validation studies in multiple languages ascertain its value as a screening tool for dementia diagnosis and this study confirms its —albeit low— correlation to in-person cognitive assessment, while also providing evidence of its ability to predict cognitive decline. The modified Telephone Interview for Cognitive Status (TICS-m) is a screening tool for cognitive function that has advantages over face-to-face evaluation, especially in the context of epidemiological studies. The TICS-m has been validated in several languages, demonstrating it has diagnostic validity (good sensitivity and specificity) and concurrent validity, in comparison to other cognitive tests widely used in the clinical setting, like the Mini-Mental State Examination. In large epidemiological studies, it allows the evaluation of cognitive function at a larger scale, in order to establish potential associations between risk factors and cognitive decline, essential to implement primary prevention measures against dementia. Hitherto, there has not been a validation study of the Spanish version of TICS-m. Even though we have found a low consistency between the results of the Mini-Mental State Examination and the Spanish version of modified Telephone Interview for Cognitive Status (STICS-m), the score of the questionnaire seems able to predict a greater risk of developing dementia. Therefore, the questionnaire allows the study of the relationship between cognitive function and lifestyle factors. The STICS-m has been used in the “Seguimiento de Universidad de Navarra” cohort of Spanish university graduates, which has gathered information on lifestyles. The study of the relationship between cognitive function and exercise, dietary patterns and cardiovascular risk factors in this cohort can expand current knowledge on potential preventive measures against cognitive decline, in a context where this disease will be more and more prevalent as the population ages. M. Muñoz-García was involved in drafting the manuscript and revising it critically for important intellectual content. S. Cervantes made substantial contributions to conception and design, acquisition of data, analysis and interpretation of data; he also gave final approval of the version to be published. C. Razquin also contributed to conception and design, acquisition of data, analysis and interpretation of data; she also gave final approval of the version to be published. F. Guillén-Grima and J.B. Toledo gave final approval of the version to be published. M.A. Martínez-González obtained funding and made contributions to conception and design, revising the manuscript critically for important intellectual content and was involved in giving final approval of the version to be published. E. Toledo obtained funding and made substantial contributions to conception and design, acquisition of data, analysis and interpretation of data, revising the manuscript for intellectual content, and giving final approval of the version to be published. All authors agreed to be accountable for all aspects of the work in ensuring that questions related to the accuracy or integrity of any part of the work. We thank all the SUN and PREDIMED Plus participants for their collaboration. We also thank the other SUN Project investigators (A. Alonso, M.T. Barrio López, F.J. Basterra-Gortari, S. Benito Corchon, M. Bes-Rastrollo, J.J. Beunza, S. Carlos, J. de Irala, P.A. de la Rosa, C. de la Fuente, C.L. Donat-Vargas, M. Donazar, A. Fernández Montero, C. Galbete-Ciaurriz, A. Gea, E. Goni-Ochandorena, F. Lahortiga, J. Llorca, C. López del Burgo, A. Mari-Sanchís, A. Martí, R. Mendonça, J.M. Núñez-Córdoba, A.M. Pimenta, R. Ramallal Martínez, A. Rico, A. Ruiz Zambrana, M. Ruiz-Canela López, C. Sayón-Orea, Z. Vázquez Ruiz, I. Zazpe García), the PREDIMED Plus investigators at the University of Navarra and Primary Health Care Centers in Navarra (A. Sánchez- Tainta, P. Buil-Cosiales, J. Díez-Espino, B. Sanjulián, O. Lecea, J.C. Cenoz, R. Bartolomé, S. Eguaras, J.A. Martínez, A. Martí, F.J. Basterra-Gortari, J. Bartolomé, N. Goñi, E. Lozano, J.V. Extremera-Urabayen, L. García-Pérez, C. Arroyo-Azpa, A. Sola-Larraza, F. Bárcena, C. Oreja-Arrayago, M.J. Lasanta-Sáez, P. Cia-Lecumberri, T. Elcarte-López, F. Artal-Moneva, J.M. Esparza-López, E. Figuerido-Garmendia, J.A. Tabar-Sarrias, L. Fernández-Urzainqui, M.J. Ariz-Arnedo, J.A. Cabeza-Beunza, P. Pascual-Pascual, M.D. Martínez-Mazo, E. Arina-Vergara, T. Macua-Martínez, A. Parra-Osés) and to the other PREDIMED Plus investigators. We also thank the International Nut & Dried Fruit Council-FENAD No. 201302, Martínez-González (PI) and the ERC Advanced Grant 2013 (No 340918) “Long-term effects of an energy-restricted Mediterranean diet on mortality and cardiovascular disease: the PREDIMED-Plus Study” Martínez-González (PI). The SUN Project has received funding from the Spanish Government-Instituto de Salud Carlos III, and the European Regional Development Fund (FEDER) (RD 06/0045, CIBER-OBN, Grants PI10/02658, PI10/02293, PI13/00615, PI14/01668, PI14/01798, PI14/01764, and G03/140), the Navarra Regional Government (45/2011, 122/2014), and the University of Navarra. The PREDIMED Plus-NAVARRA trial has received funding from the European Research Council (Advanced Research Grant 2013-2018; 340918) granted to MAMG, the Instituto de Salud Carlos III (PI13/01090, PI16/01522). M. Prince, A. Comas-Herrera, M. Knapp, et al. World Alzheimer Report 2016. Improving healthcare for people living with dementia coverage, quality and costs now and in the future. A. Lobo, R. López-Antón, J. Santabárbara, et al. Incidence and lifetime risk of dementia and Alzheimer's disease in a Southern European population. H. Niu, I. Álvarez-Álvarez, F. Guillén-Grima, et al. Prevalencia e incidencia de la enfermedad de Alzheimer en Europa: metaanálisis. Anonimous. Alzheimer's disease: expedition into the unknown. Lancet. 2016; 388:2713. R. Brookmeyer, E. Johnson, K. Ziegler-Graham, et al. M.F. Folstein, S.E. Folstein, P.R. Mchugh. Mini-Mental state. A practical method for grading the cognitive state of patients for the clinician. A.H. Ropper, M.A. Samuels, V. Adams. The telephone interview for cognitive status. K.A. Welsh, J.C.S. Breitner, K.M. Magruder-Habib. Detection of dementia in the elderly using Telephone Screening of Cognitive Status. M.S. Beeri, P. Werner, M. Davidson, et al. Validation of the modified Telephone Interview for Cognitive Status (TICS-m) in Hebrew. V.C. Crooks, L. Clark, D.B. Petitti, et al. Validation of multi-stage telephone-based identification of cognitive impairment and dementia. Alzheimer's disease in the NAS–NRC Registry of ageing twin veterans. C.A. De Jager, M.M. Budge, R. Clarke. Utility of TICS-M for the assessment of cognitive function in older adults. A. Baccaro, A. Segre, Y.P. Wang, et al. Validation of the Brazilian-Portuguese version of the Modified Telephone Interview for cognitive status among stroke patients. R. Gude Ruiz, J.F. Calvo Mauri, F.J. Carrasco López. The Spanish version and pilot study of a telephone test of cognitive status for evaluation and screening in dementia assessment and follow-up. M. Seguí-Gómez, Z. Vázquez, et al. Cohort profile: the “Seguimiento Universidad de Navarra” (SUN) study. J.S. Lin, E. O’connor, R.C. Rossom, et al. Screening for cognitive impairment in older adults: an evidence update for the U.S.
M. Matrisch, U. Trampisch, R. Klaaßen-Mielke, et al. Screening for dementia using telephone interviews. An evaluation and reliability study of the Telephone Interview for Cognitive Status (TICS) in its modified German version. M.A. Martínez González, A. Sánchez Villegas, E.A. Toledo Atucha, et al. R.J. Spencer, C.R. Wendell, P.P. Giggey, et al. Psychometric limitations of the Mini-Mental State Examination among nondemented older adults: an evaluation of neurocognitive and magnetic resonance imaging correlates. K. Duff, D. Tometich, K. Dennett. The Modified Telephone Interview for Cognitive Status is more predictive of memory abilities than the Mini-Mental State Examination. M.M. Smith, G. Tremont, B.R. Ott. A review of telephone-administered screening tests for dementia diagnosis. A critical review of the use of telephone tests to identify cognitive impairment in epidemiology and clinical research. C. Galbete, E. Toledo, J.B. Toledo, et al. Mediterranean diet and cognitive function: the SUN project. A. Alonso, J.J. Beunza, M. Delgado-Rodríguez, et al. Validation of self reported diagnosis of hypertension in a cohort of university graduates in Spain. M.T. Barrio-López, M. Bes-Rastrollo, J.J. Beunza, et al. A. Sánchez-Villegas, J. Schlatter, F. Ortuño, et al. Validity of a self-reported diagnosis of depression among participants in a cohort study using the Structured Clinical Interview for DSM-IV (SCID-I).